however the horse has a heart, OR DOES IT!!! 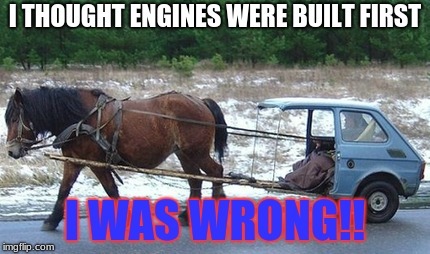 I THOUGHT ENGINES WERE BUILT FIRST; I WAS WRONG! !